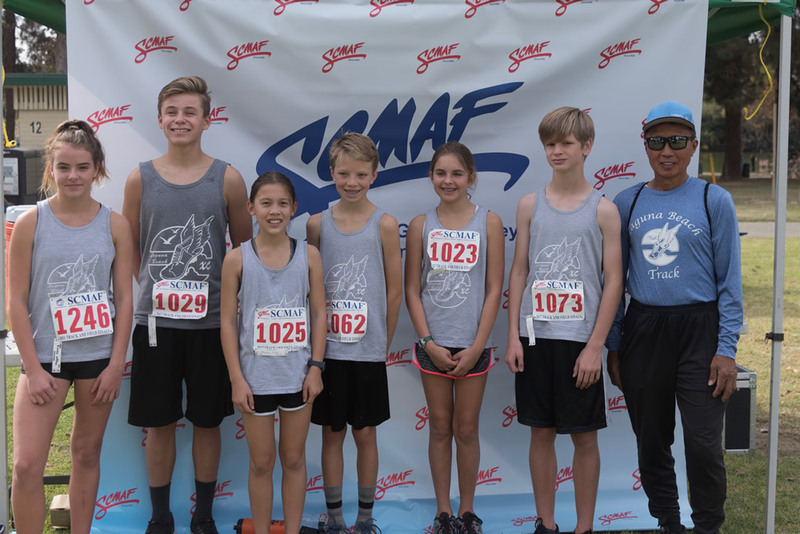 From left, competitors Megan Keary, Cooper Buckhorn, Maesen Silva, Luke Anderton, Kate Salinas, Christopher Drews and Coach Fred Pichay. Six Laguna Beach youngsters medaled in their age group at the recent Southern California Municipal Athletic Federation Cross Country championship. The athletes, led by Coach Fred Pichay, competed at Legg Lake in Whitter Narrows Park.